The continued spread of Japanese Knotweed poses a threat to the environment, home owners and business owners alike. This hardy, invasive plant can grow rapidly throughout the warmer months, and then die back in winter, remaining dormant underground in a network of rhizomes, before emerging to spread even further. Japanese Knotweed stifles native species and reduces house prices; choosing to ignore its presence on your land can often prove to be a costly mistake. Evidence from Paul Raine suggests that if a Knotweed infestation remain untreated then losses of up to 20% can be incurred. Even if the Knotweed is treated and removed, losses can still be between 6-9%. In order to tackle this aggressive plant, the government has introduced a number of laws and regulations surrounding the control, growth and transportation of Japanese Knotweed in order to protect home owners, businesses and the environment alike. These laws have been put into legislation slowly over the years as a reaction to the growing spread of invasive plant species in the UK. There are serious legal risks inherent with having Japanese Knotweed growing on your land so it’s best to get a handle on it sooner rather than later, otherwise you may find yourself at the receiving end of a fine. Understanding your legal responsibilities in regards to the Knotweed growing on your land is crucial should you wish to avoid an unexpected date in court, or a run in with your local council. A number of recent court cases reveal just how costly leaving Knotweed to its own devices can be. In early 2018 Adam and Eleanor Smith successfully sued their neighbour, after they discovered a serious Knotweed infestation on their land which had entered from an adjacent property. They were able to claim for the costs of removing the Knotweed and their neighbour had to commit to a 5-year treatment plan, to insure that the infestation would not return. This result proves that turning a blind-eye to your Knotweed problem is not a good idea, especially when it is threatening to leave the confines of your land. Many legal disputes surrounding Japanese Knotweed stem from the discussion over whose responsibility it is to treat or remove the problem. Although the legal outcome will vary from case to case, there are a few general rules that you can follow to ascertain whose responsibility it is to remove the Japanese Knotweeed. In most cases the management of non-native invasive weeds is the responsibility of the landowner. Whilst it’s not against the law to allow the plant to grow on your land, if the Knotweed has entered your land from a neighbouring property then your neighbours will be responsible for removing the plant and potentially remunerating you for any costs you have incurred. In 2014, a decision was made to include the negligent cultivation of invasive plants such as Japanese Knotweed into the remit of the Anti-social Behaviour Crime and Policing Act 2014. Under the powers of this act police and local council authorities have the power to issue individuals and businesses with Community Protection Notices. These notices are only reserved for those who persistently or continually act in a way that has a detrimental effect on the quality of life of those in the locality. This notice could require the recipient to make reasonable efforts to remove the Knotweed from their property, or prevent the Knotweed from returning. Failure to meet the requirements of this notice, without a reasonable excuse, could be treated as a criminal offence making the recipient liable to a fixed penalty notice or prosecution, which could lead to a further hefty fine. Besides the Anti-social Behaviour Crime and Policing Act 2014, the main legislation that identifies and controls Japanese Knotweed is the Environmental Protection Act 1990 (EPA 1990) and the Wildlife and Countryside Act 1981 (WCA 1981). The EPA 1990 sets out the appropriate methods of removing, transporting and disposing of ‘controlled waste’, defining this as any soil or plant materials contaminated with Japanese Knotweed that you discard, or are planning on discarding. The Act makes it an offence to deposit any contaminated soil in an irresponsible fashion. In short, if you have Knotweed on your land and you’re looking to dispose of it, you’ll need to follow the correct procedure should you wish to avoid a hefty fine. The EPA 1990 is supported by the Wildlife and Countryside Act 1981 which states that ‘if any person plants or otherwise causes to grow in the wild any plant which is included in Part II of Schedule 9, he shall be guilty of an offence’. Japanese Knotweed is listed as one of these plants in Schedule 9, offenders may face a £5000 fine and/or 6 months imprisonment, or 2 years and/or an unlimited fine on indictment. 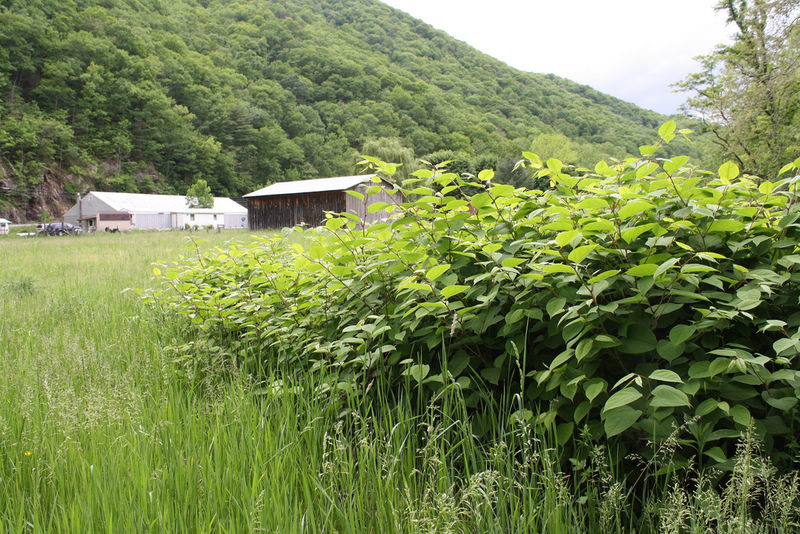 These may sound like heavy penalties, but it serves to demonstrate how seriously the law treats the spread of Japanese Knotweed and is intended to deter citizens from giving this plant free reign to grow on their land. There are a few proven method of managing Japanese Knotweed. If you’re planning on digging up and removing your Knotweed manually then you’ll need to adhere to the aforementioned waste legislations laid out in the EPA 1990 and the WCA 1984. If you’re hoping to leverage the power of pesticides to exterminate your infestation then you’ll need to ensure that you keep in mind the Control of Pesticides Regulations 1986. These regs require any person using pesticide to take all reasonable precautions in order to protect the health of their fellow human beings, other creatures and plants. If your infestation happens to be close to a water source then you’ll need to apply for approval from the Environment Agency. The Environment Agency has put together a comprehensive document detailing the various legal pitfalls and best practice guidelines for those stuck with an infestation. They list the three key methods of preventing the spread of Knotweed as treating with chemicals, burying or burning it. Each of these methods comes with its own host of recommendations. 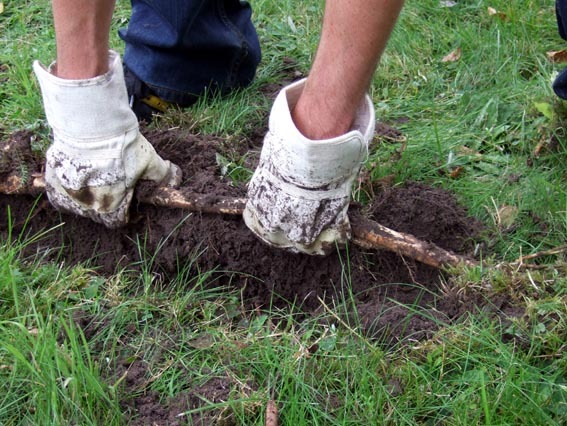 For example, if you’re planning on burying the Knotweed on your land then the Environment Agency recommends burying it at a depth of at least 5 metres, as well as covering the remains with a material that prevents the rhizomes from growing again. If you’ve more questions about Japanese Knotweed legislation or are seeking further legal advice in regards to a Knotweed infestation then please don’t hesitate in calling us on 07595 653 226 or sending us a message using the contact form.